myMozo is owned and operated by 3g Global Systems, Inc. Our team is highly experienced in innovation of custom application development for Retail stores, Restaurants, Healthcare products and Educational products. myMozo is one of the best e-commerce product for retail and Restaurant industry to help the customers to place order online. 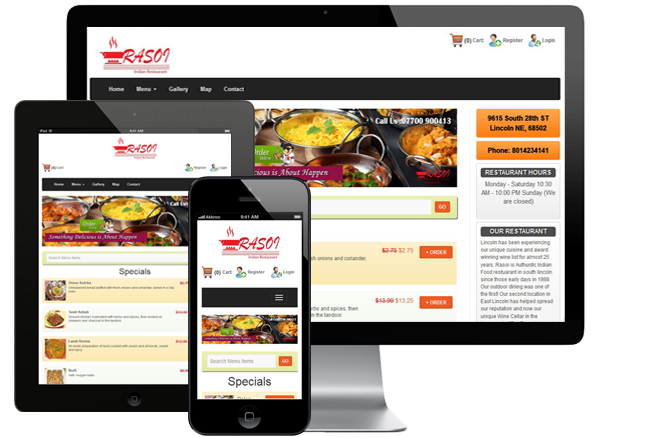 retail or restaurants receive thier order online and manage their online a/c transactions, reporting etc. Your restaurant or retail store closes at night, your website does not. Customers can see your menu or product and schedule orders any time day or night. Your "Mozo" will never complain!. You can assign food items to specific times and days. The myMozo will also automatically display a "Closed" message outside of business hours. Our websites are optimized for display on smartphones and tablets so that your customers can order on the go or consult your menu from their portable devices. The cart allows your customers to conveniently add food items to their order in a user-friendly shopping cart regardless of any devices..
With industry-standard encryption, your customers can rest assured that their payments will always remain secure with our SSL connection. We also offer the convenience of saving your customers' payment information in our secure vault to speed up repeat orders. Fax, Phone, SMS (text message), and email notifications.